Traditionally, IT management is based on servers and PCs, software (accounting, invoicing, Office,…), and everything installed on the company’s premises. Cloud computing is a different model where the company uses equipment and/or software that is located outside of their offices. In the most extreme form of Cloud computing, the company doesn’t own IT material, nor system software or other applications. They will use the Cloud for their needs, whenever they want, and they will be invoiced for that usage. In the simplest form of Cloud computing, the company buys its equipment and software and stores it in a data center. In the medium and long term the cost will be higher than that of a local IT service. Conclusion : local IT or Cloud IT ? It all depends on your needs ! 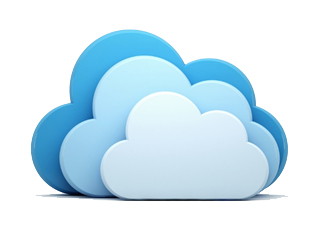 Contact us and discover our IT Cloud offers ! You need an analysis to find out whether your company can benefit from a cloud solution. the risks of every specific solution. This will give you enough knowledge to make the right choice.